Happy birthday beautiful boy, I’m a tad emotional and extremely proud of the boy you are becoming. I’m not going to go on as you have trapped me in bed, you are asleep with your arm down my top and each time I move you off me you wake up so I’m uncomfortable with cramp in one arm and an achy neck but hey ho, at least you are asleep. This morning we had a lovely relax together and you opened your presents. You got lots of clothes, money for your bank and some interactive Thomas books. We visited your Great Grandma J before you, your Daddy and I went for dinner. 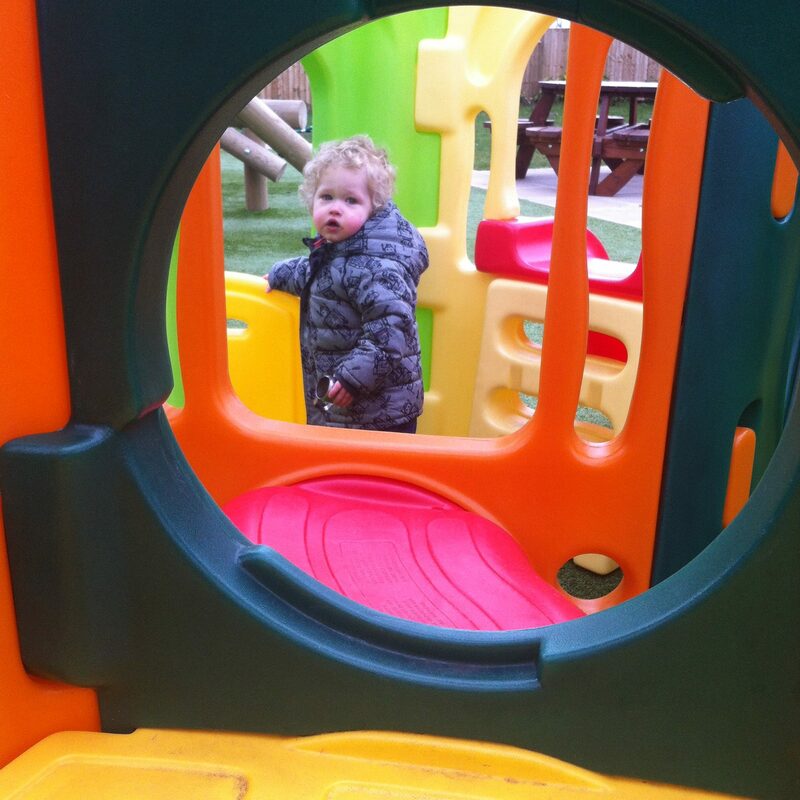 We went to The Bowling Green as you love playing with the abundance of toys and games they have there. On Sunday we went round to your Grandmas for tea, she made a chili, jacket potatoes and nachos. Some of our family came round and you were in your element. You adore being surrounded by family, playing with Ollie and basically being a social butterfly. When it was time for singing Happy Birthday, you didn’t shy away. You took your seat proudly at the top of the table and revelled in the attention. Caketoppers offered to send* you a photo cake, I have tried their cakes before and loved them so I knew we wouldn’t be disappointed. 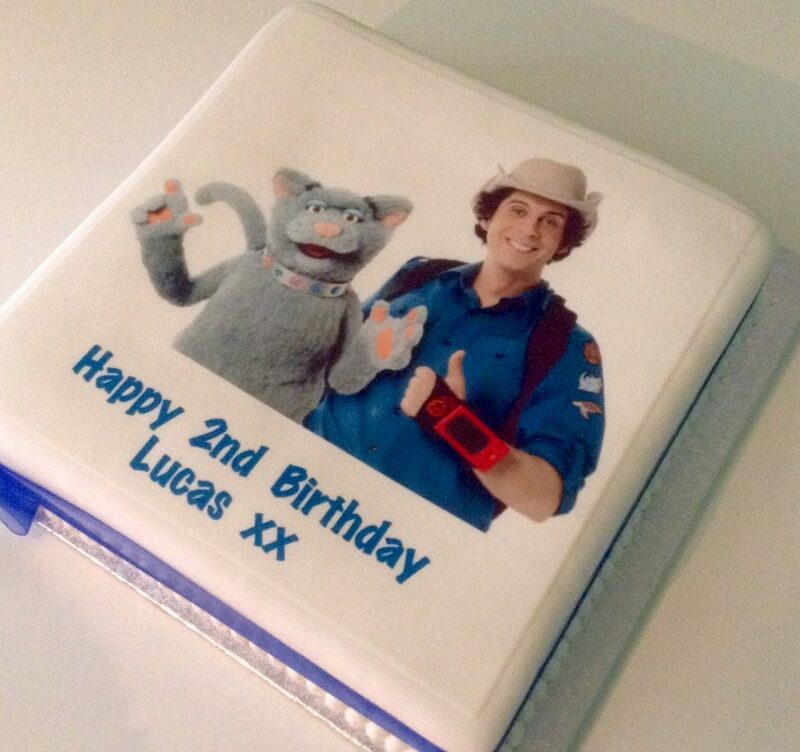 We received the classic sponge 10″ square photo cake, covered in white icing and decorated with a photograph of Andy and Kip (Cbeebies Andy’s Wild Adventures), printed on icing with edible ink on the cake top. The blue ribbon finished it off perfectly. You were so excited about Andy being on it, even as you were eating him you continued to say ‘Andy, Andy!’. The sponge was as delicious as I remembered, it got delivered on Friday for your party on Sunday. I removed the bubblewrap and packaging and it stayed perfectly fresh. Tonight your Grandma, Grandad, Uncle H and Uncle B are coming round to see you so I’m glad you are having a good nap now. Oh, you started saying Mummy last week, thank you! 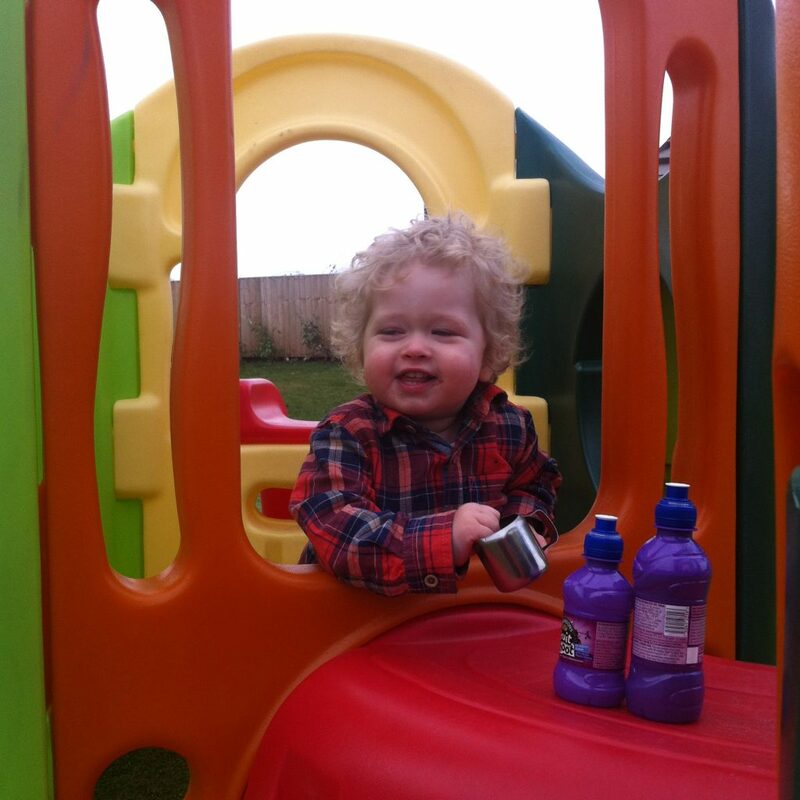 25 Comments on Happy 2nd birthday Lucas! This is such a lovely post, that I’m sure Lucas will love looking back on when he is older. Happy 2nd birthday little one! Oh he has the most gorgeous hair! Happy birthday Lucas! Aw happy birthday little dude – and what a fab cake! What a sweetie, Happy Birthday! Happy birthday Lucas! What sweet photos sounds like he had a lovely time celebrating. What a cute cake!! Happy birthday Lucas! Happy 2nd birthday sweet Lucas. What a handsome little man you are! Sounds like he had a great time celebrating! What a wonderful, happy post. Lovely to see him enjoying his birthday so much.